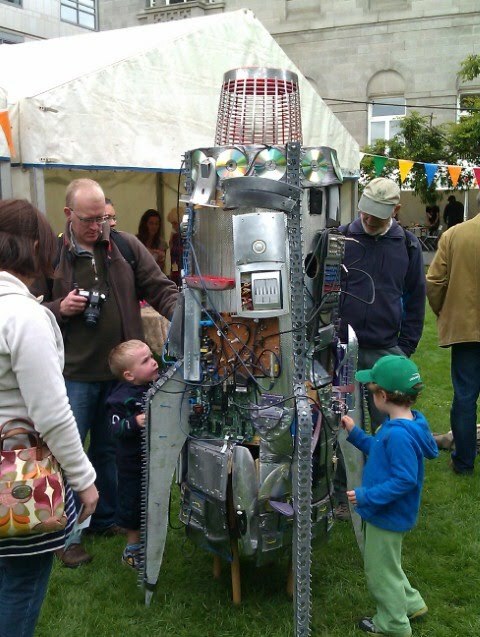 On Saturday (15th July), I was lucky enough to attend Ireland’s first Maker Faire at Trinity College, Dublin. It was a fantastic and incredibly inspiring event. For those of you who don’t know what a Maker Faire is, it is ‘a family-friendly showcase of invention, creativity and resourcefulness, and a celebration of the Maker movement. It’s a place where people show what they are making, and share what they are learning.’ So there! 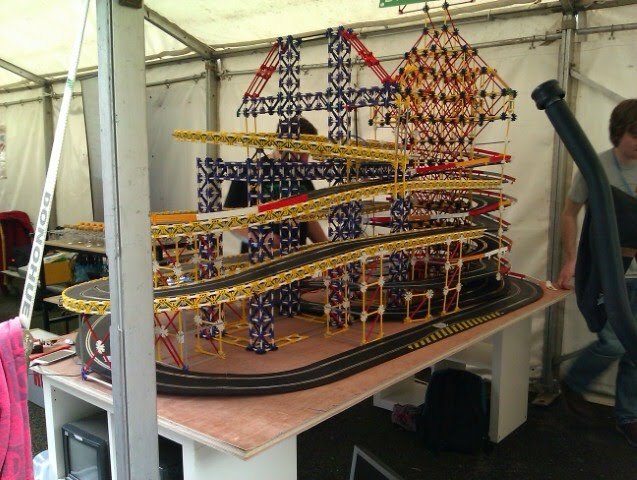 Scalexercise, from Buildbrighton, that uses exercise bikes to power a Scalextrix track. 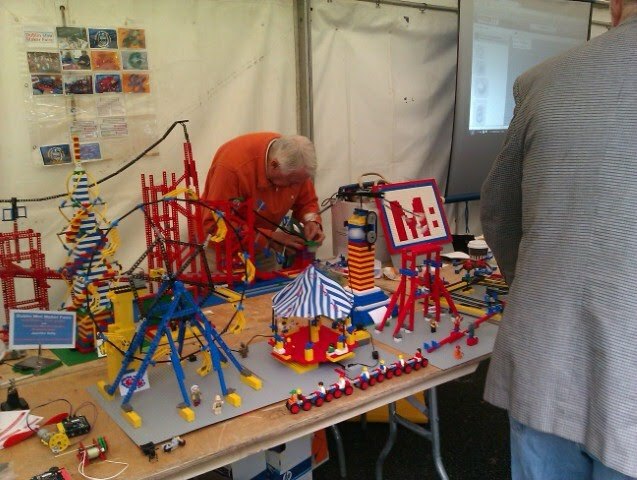 There was a lot more happening at the faire, including an underwater ROV built from everyday parts and controlled using an Arduino, the 14ft drum from Fuinneamh, and loads more! Personally, I found the faire incredibly inspiring. Particularly as I have recently signed up as a STEM Ambassador to try and promote STEM subjects in local schools. I’ll be especially interested in encourage coding in schools, and I hope to mentor a school taking part in this year’s Lego League, hosted by W5 at the Odyssey. To prepare for this, I will be playing researching Lego MindStorm and the Raspberry Pi over the summer.